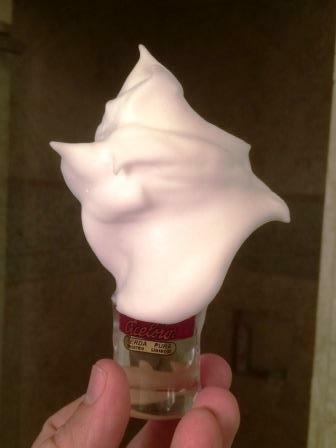 Man, I really wish I could get lather like that! Looks like pie! Just some soaps that did not work great for me mixed up and now work very well. (01-09-2016, 08:06 PM)Mr_Houston Wrote: All grated up together? Wow, Stefan! Mike's didn't work for you? Everyone will want the recipe, Stefan. What a shiny, slick lather! (01-09-2016, 07:14 PM)Mr_Houston Wrote: Mixed mug? Do tell. I am not positive it was Mike's, I had a sample sitting in an unmarked tub for a few years. Mikes works great for me. Wow amazing lather...I can't wait to get my hands on one. This is one of my favorites of the recent shots. I don't see any bubbles at all - it's smooth all around. 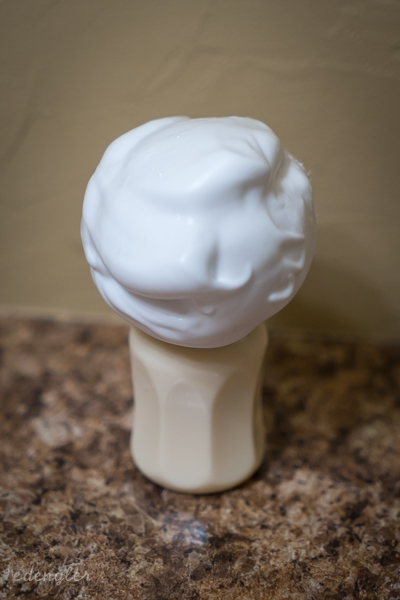 I've only been able to achieve this kind of lather once or twice, but it's beautiful. This has me wanting Oliva. Nicely done Ed! 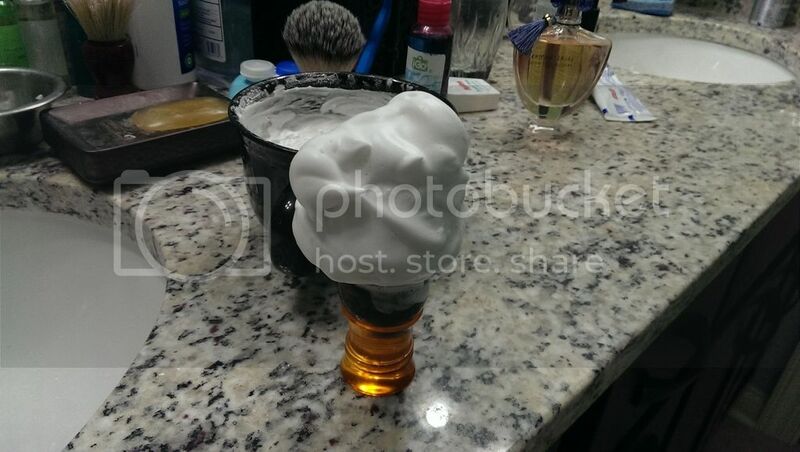 My favorite in recent lather shots. 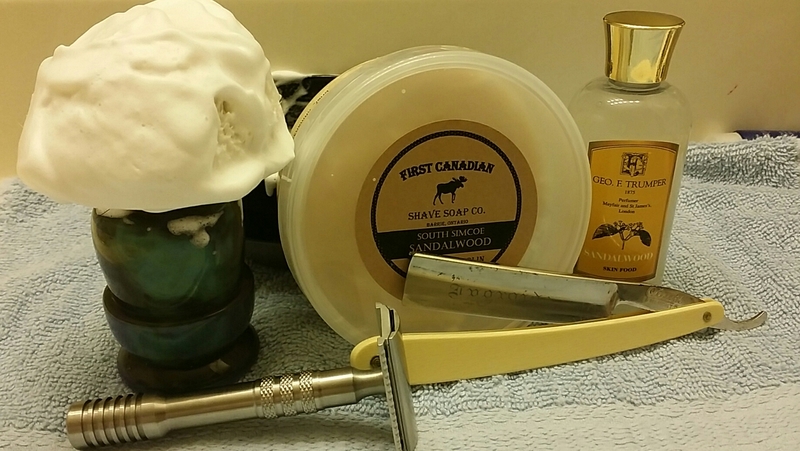 First Canadian Shave Soap Co. using a TGN 2 band finest in a custom handle.